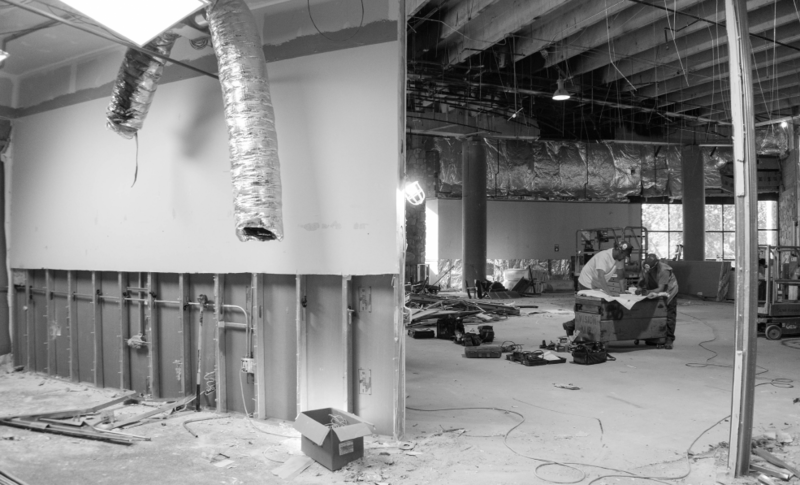 University Hall is currently undergoing renovations to better promote teaching and learning at UCCS. Renovations planned in the “UHall Backfill” project include converting 5 thousand square feet of space on the first floor into a new 200 seat tiered lecture hall and break out room for after-lecture questions, as well as a ten-person seminar room, according to Kent Marsh, Associate Vice Chancellor for Campus Planning & Facilities Management via email. An additional 2.1 thousand square feet of space on the second floor will be converted from a dance studio and former black box theater into a classroom space for Early Childhood Education. The new tiered lecture hall on the first floor will be scheduled through the registrar’s office, while the classrooms on the second floor will be managed and scheduled by the College of Education. The new 200 seat tiered lecture hall is one of only six classrooms with capacity above 100 seats on campus. The new lecture hall will increase capacity and allow additional sections and courses to be taught each year. The improvements proposed for the second floor will add classroom capacity for the College of Education as well, and will provide unique learning spaces for students pursuing degrees in Early Childhood Education. Approvals, design, and construction of the facility and improvements will take approximately nine months to complete. The construction is anticipated to be completed near the end of November, according to Marsh via email.